To celebrate our 1st Birthday! 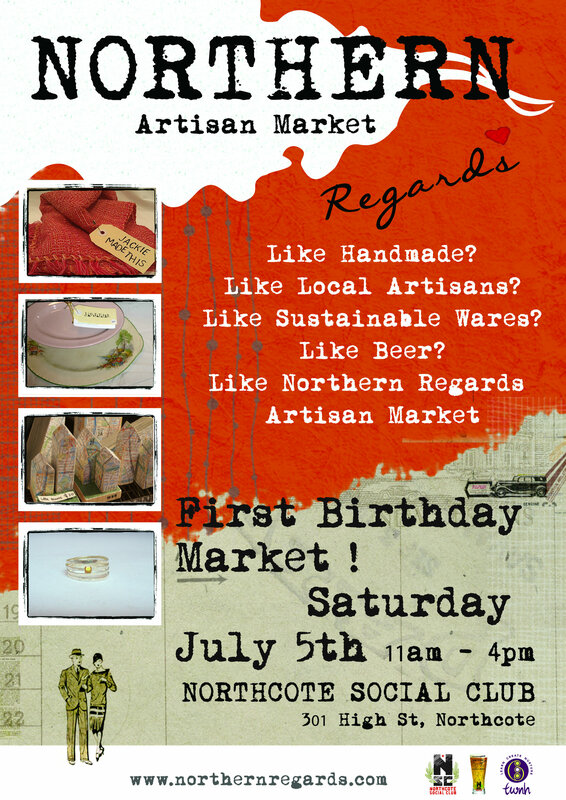 So come and join us on Saturday July 5th 11am – 4pm for a big day of sustainable handmade shopping, beer and……cake ! This entry was posted in Uncategorized and tagged !st Birthday, Artisans, Celebration, Handmade, July 5th, local, market, Melbourne, Northcote, Northcote Social Club, Northern Regards Artisan Market, recycled, Sustainable, upcycled. Bookmark the permalink.